Are you having a dress down day at work? Why not take this opportunity to put on your festive wear to provide hospice care. It’s a really simple idea that enables you to get out your most quirky Christmas attire. You could go all out with the latest craze of adding Christmas decorations to your hair do or jazzing up a beard. Everyone taking part gives a donation to help patients with life limiting illnesses. 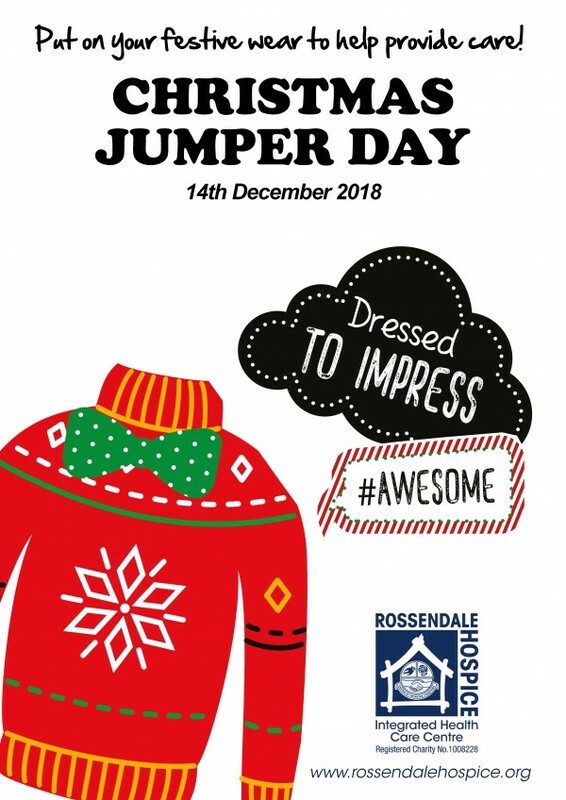 If you would like a Christmas Jumper Day pack, which consists of a donation box to collect in your money and a poster to help let everyone know about the day, contact fundraising@rossendalehospice.org or call 01706 253633 - option 3.